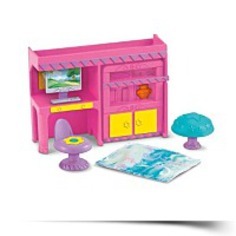 Bedroom furniture for the Dora Window Surprises Dollhouse (sold separately ). 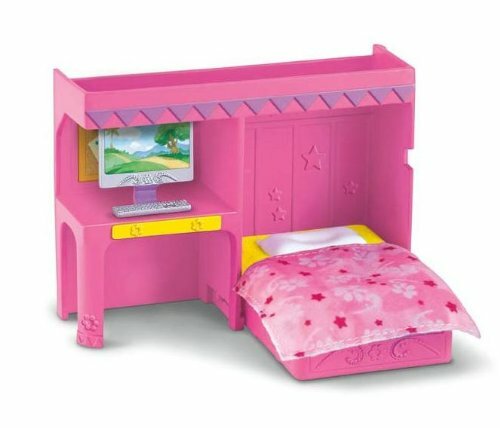 Includes a bookcase/bed, chair, lamp, computer, and reversible blanket. 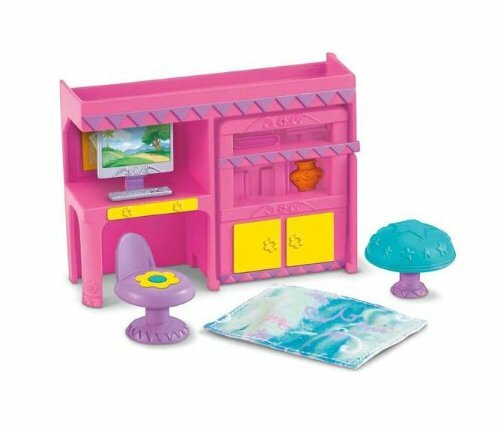 Age 3+ Set includes 5 pieces that are great for imaginative play. Package Dim. : Height: 2.6" Length: 7.3" Depth: 6.9"